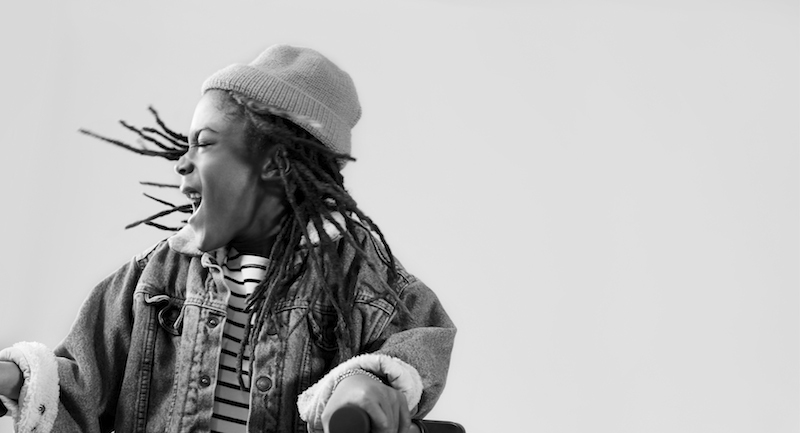 Slowly but surely, the advertising industry is adjusting course and including a wider degree of diversity in its campaigns. But Katie Driscol, who founded Changing the Face of Beauty, thinks a little nudge in the right direction doesn’t hurt. 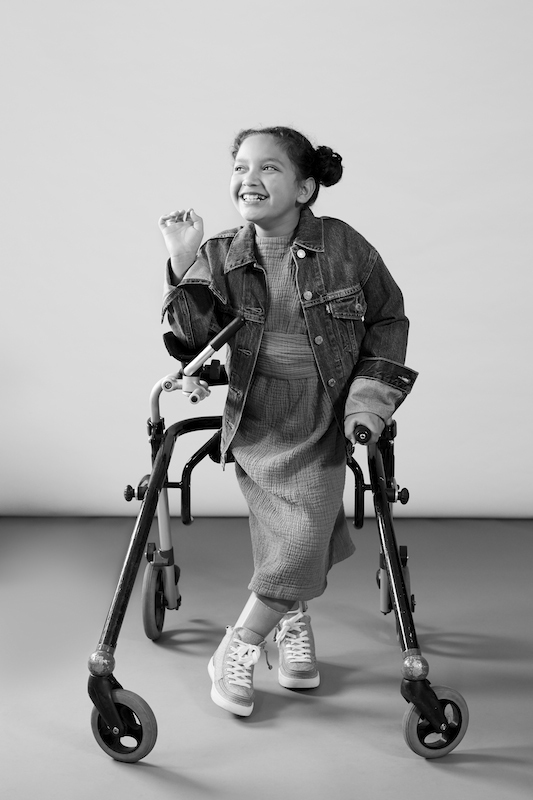 Her non-profit organization advocates for brands to feature people of all abilities in their campaigns, and for a recent project, she brought together an all-star team—all of whom dedicated their time and talent—in order to create a gorgeous fashion editorial for shoe company Livie & Luca featuring a cast of incredible kids. 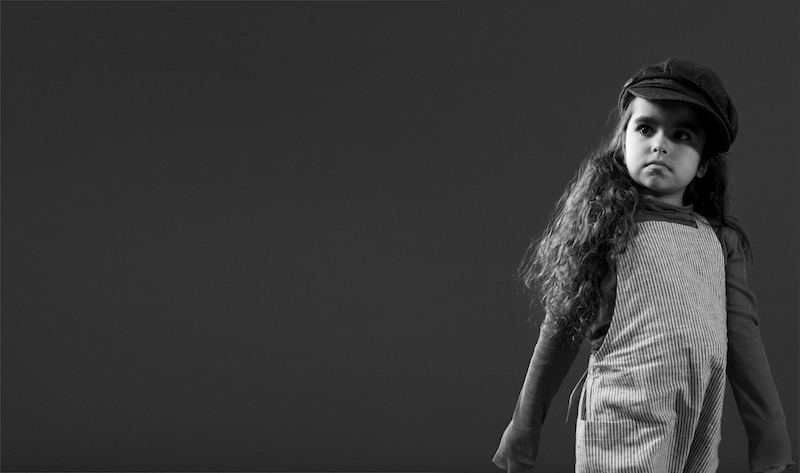 The full editorial was styled by Mother favorite Amy Soderlind, art directed by Danielle Moore, and ran in the most recent issue of Hooligans, a high-style kiddie fashion mag. “We work in an industry that is hyper focused on beauty and at times unrealistic ideals of perfection,” says Katie Patterson, who produced the shoot and is the founder of Lola Creative. 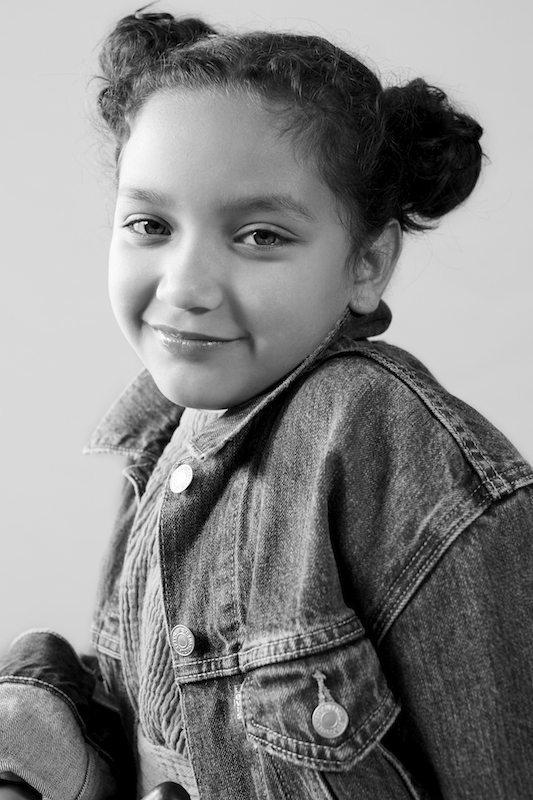 “This project allows us to show that beauty comes in many forms, faces, and with a variety of features. The industry has come a long way but we can do more. 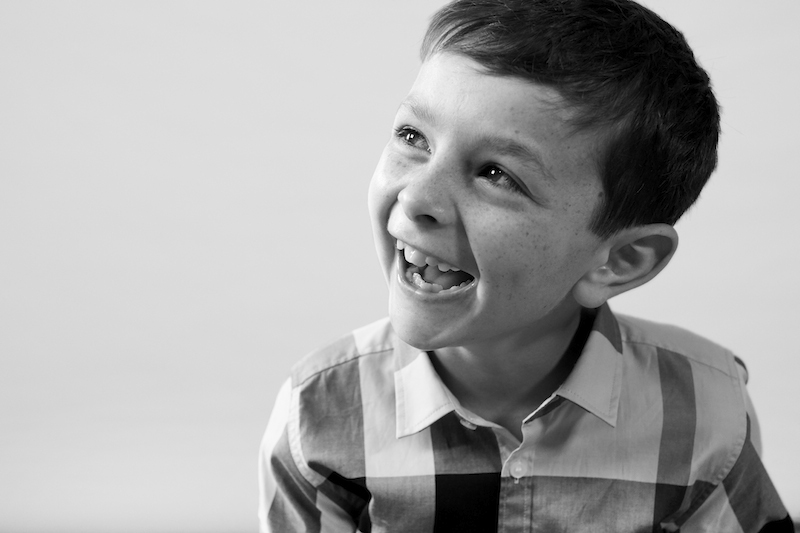 We can make kids with disabilities feel represented and reflected in commercial advertising. We all deserve to feel included.” In order to cast the models, Katie used social media to scout fresh faces and tapped the contacts of Changing the Face of Beauty as well. 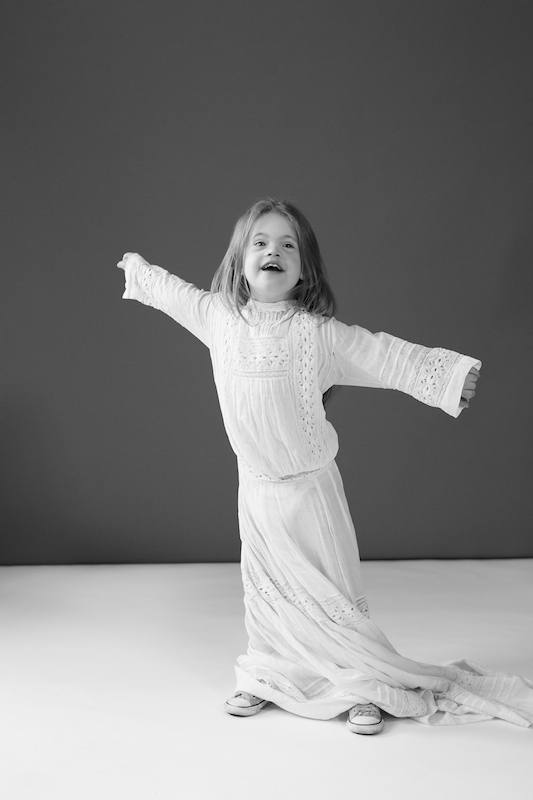 One little girl, Lydia, ended up flying from the Midwest to San Francisco to participate in the photo shoot. Click through the whole slideshow below to read quotes from the inspiring models (and a even a few from their amazing mothers). Giana wears a Tambere Cotton Wrap Dress, Levi's Jacket, and Vans Shoes. 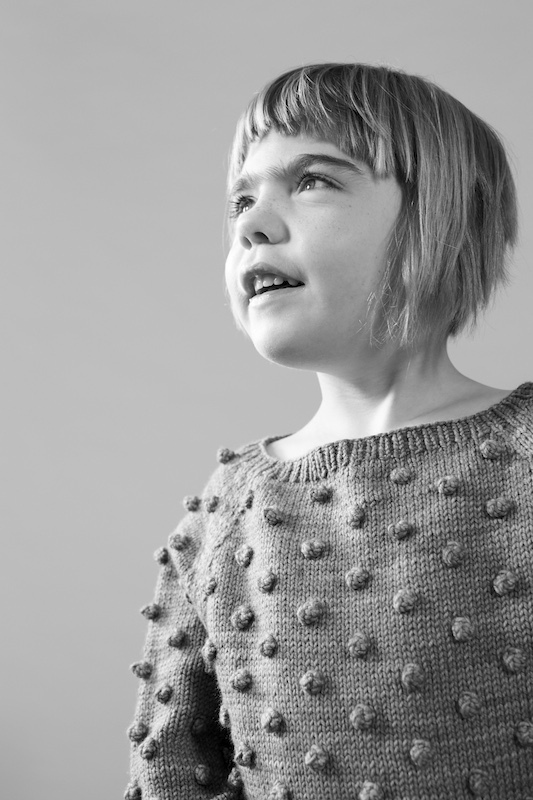 Claire wears a Misha and Puff Wool Popcorn Sweater, Misha and Puff Wool Popcorn Shorts, and Dr. Martens Boots. Jordan wears a Kenzo Beanie, and Milk & Biscuits Metallic Bomber. 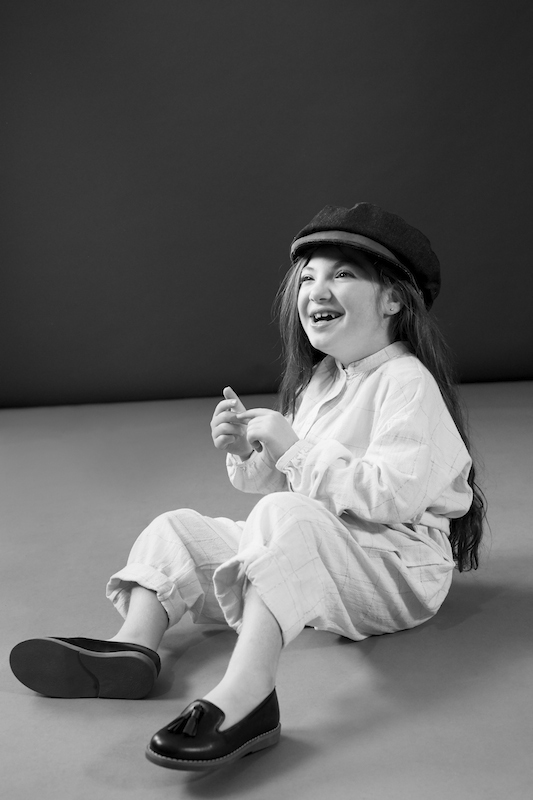 Sienna wears a Brixton Fiddler Hat, Petits Vilains Cotton Short Overalls, and Polder Cotton Tulle Turtleneck. Wyatt wears a Burberry Shirt, Burberry Pants, and Livie & Luca Shoes. Viena wears a Victorian Vintage Dress, Vintage Beret, and Converse Shoes. 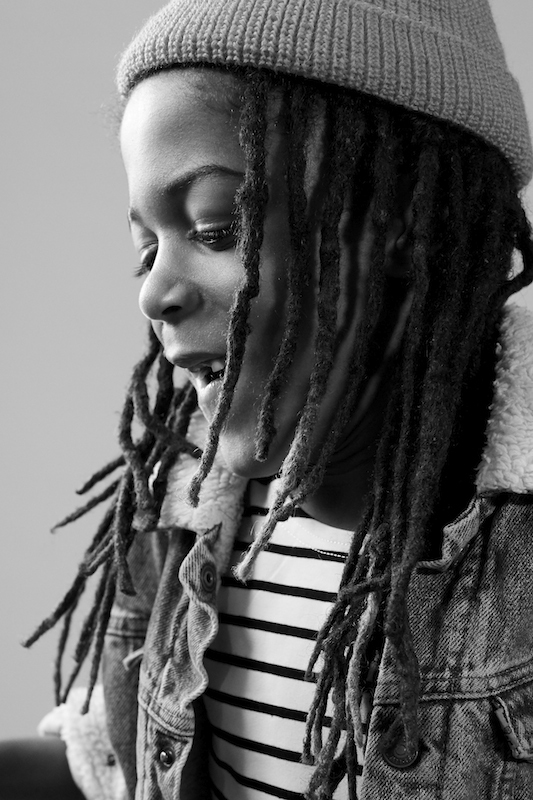 Malachi wears a Levi’s Jacket, Ralph Lauren Striped Shirt, and Leuchtfeuer Strickwaren Beenie. 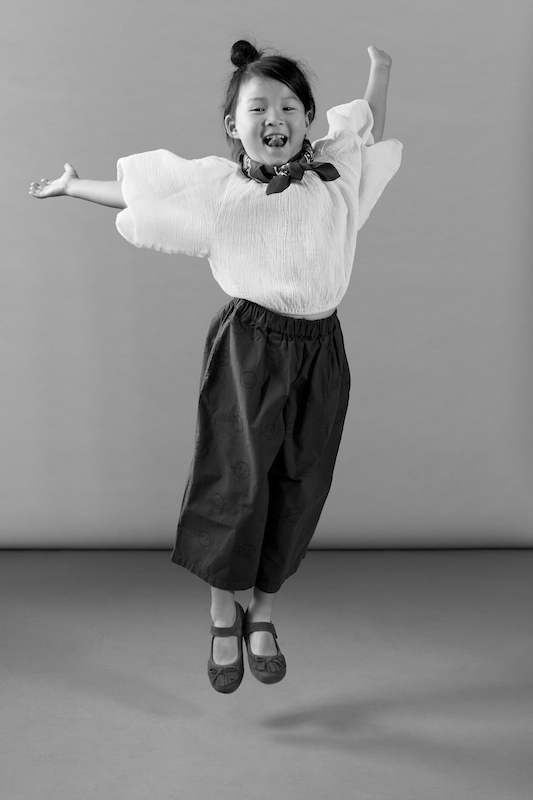 Lydia wears a Tambere Cotton Balloon Sleeve Tee, Mummymoon Moon Pant, Misha and Puff Scarf, and Dansko Chelsea Boot. Sohpie wears a Polder Cross Combi Jumpsuit and Elephantito Loafers. Brayden wears Barn of Monkeys Striped Trousers, Repose AMS Knit Sweater, and Dr. Martens Boots. This is so Amazing! 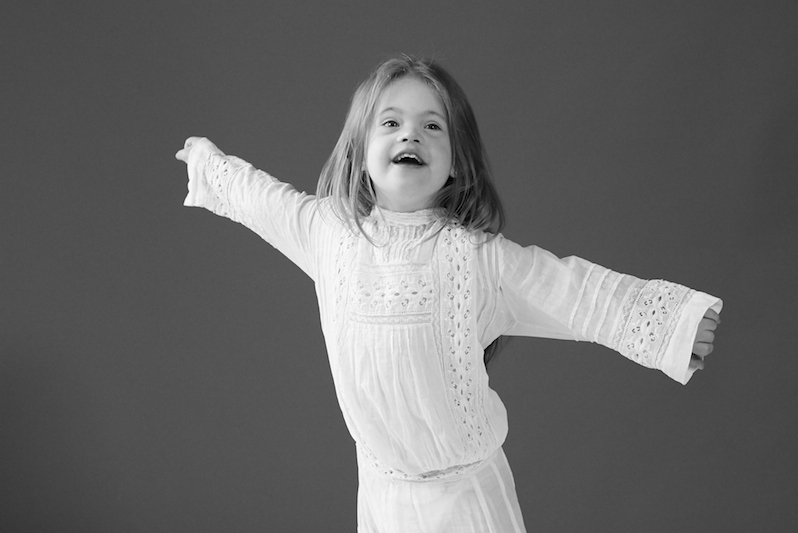 I have a daughter with down syndrome who wants to take ballet, and I have had a difficult time finding a studio that will include my child. 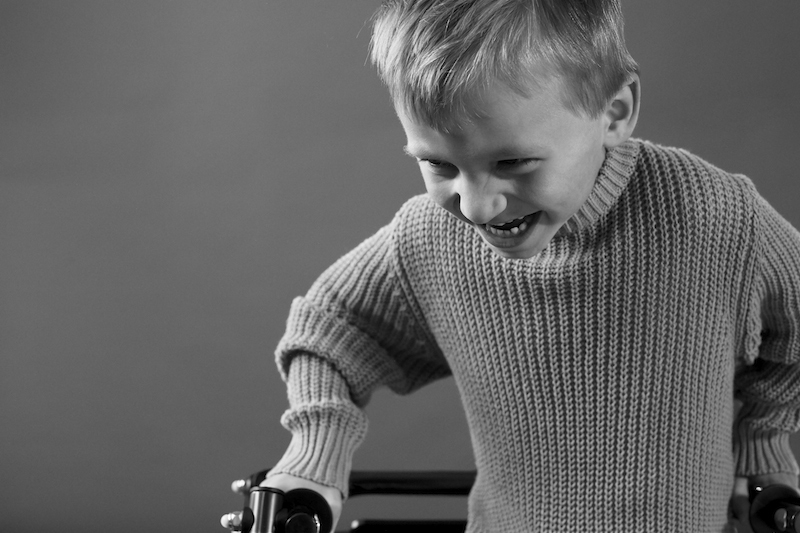 It is so sad :( Thank you for bringing awareness for inclusion of all children with disabilities.